Carlton le Willows Academy is a secondary school in the East Midlands, UK. 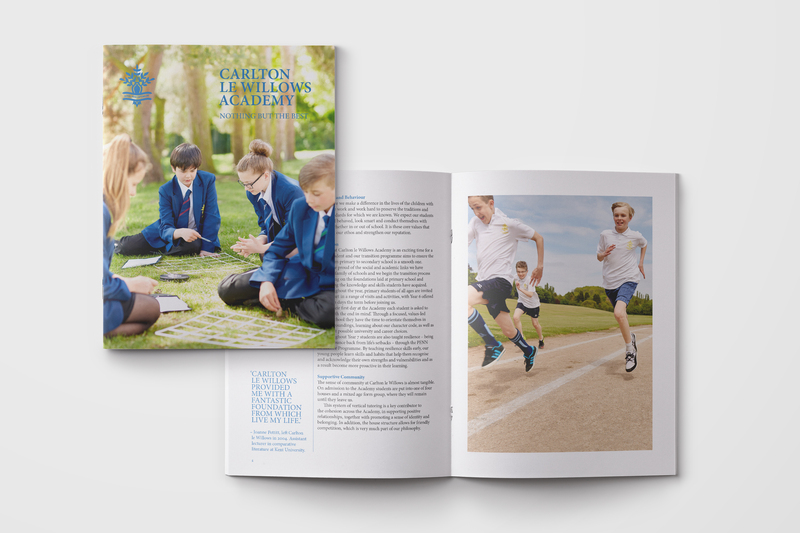 They required their prospectus to sit outside of the standard, A4 glossy format that is typically seen in education. 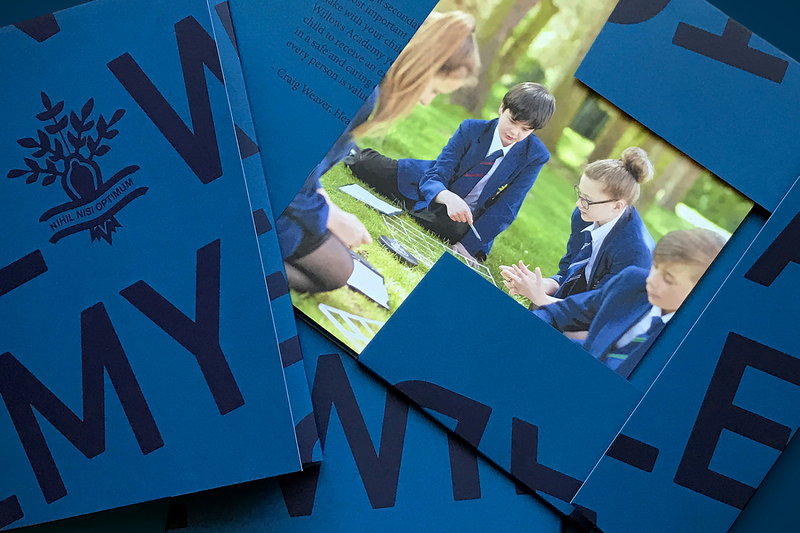 JBMS designed a smaller format, tactile booklet with a die-cut wrap.